When were X-rays first discovered? X-rays were first discovered in 1895 by the German physicist Wilhelm Roentgen. Roentgen discovered a new form of radiation which could pass through many different materials, and he called it X-radiation due to its mysterious nature. We now know that X-rays are a form of light, that is, photons. The are produced in the laboratory (or in the hospital) when beams of fairly high energy electrons strike a target, but in nature they are usually produced by a hot gas. The light emitted by a hot object depends on its temperature. As an iron poker in a fire gets hotter, it first emits heat, then red, orange and white light in succession. When the temperature gets up to millions of degrees (not possible for the poker! ), X-rays are emitted. When were X-rays first detected in space? X-rays were first detected in 1949, when rockets carrying radiation detectors emerged from the Earth's atmosphere and detected X-rays from the Sun's outer atmosphere, the corona, which is at several million degrees in temperature. How are X-rays produced in space? 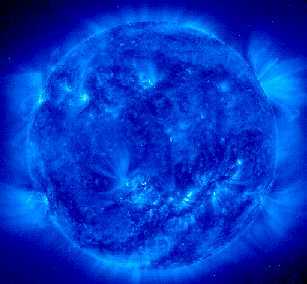 As explained above, hot matter at a temperature greater than a million degrees is a strong source of X-ray radiation. Very hot material like this is usually found in the regions of strong gravitational field near a neutron star or a black hole. Where are regions of such hot matter found? Regions of hot matter are most usually found in the discs accretion discs which form around bodies such as neutron stars, Black Holes and Quasars, or in the hot balls of gas around clusters of galaxies. 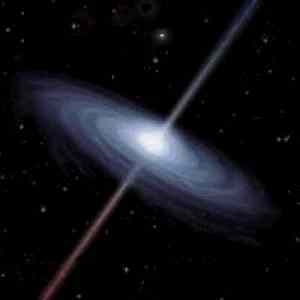 More information about black holes and quasars can be found on the Black Holes and Quasars page, and about the telescope XMM will use to look at them on the mirrors page. 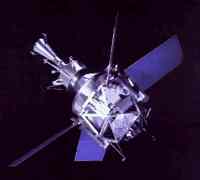 Uhuru was launched by NASA in the early 1970's, and carried a simple x-ray detector similar to a Geiger counter together with an optical monitor to identify sources. 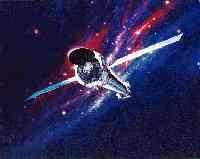 The mission returned evidence of Black Holes and Neutron Stars. 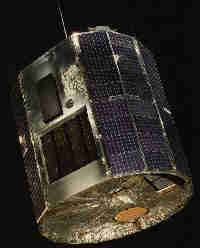 Ariel 5 was the fifth of the series of UK/US collaborative satellites. 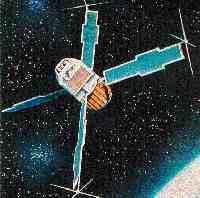 It was launched in 1975 and carried a sophisticated payload of X-ray instruments. It showed that galaxy clusters contain a huge ball of hot gas, investigated transient X-ray sources and carried out an improved sky survey. Einstein, launched in 1978 by NASA, was the first large x-ray telescope to use mirrors. It returned images of shock waves from exploded stars and regions of hot gas in galaxies and galaxy clusters. Einstein also accurately located over 7000 X-Ray sources. 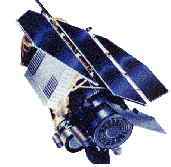 ROSAT was launched in 1990 by Germany, the UK and the USA, and carried an even larger telescope than Einstein. The mission increased the number of known X-ray sources to over 60,000 and became important in the study of hot gas present in the upper atmosphere of stars. 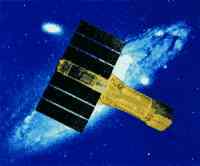 ASCA is the Advanced Satellite for Cosmology and Astrophysics and was the result of a collaboration between Japan and the US. Launched in 1993, it was designed to study the distribution of X-rays with energy. 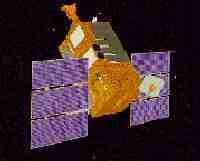 RXTE is the Rossi X-ray Timing Explorer and was launched by NASA in 1995. 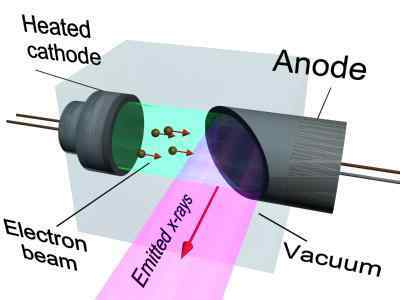 It does not include X-ray focusing mirrors, but was designed instead to study the variation with time of the emission from X-ray sources. BeppoSAX is a Dutch-Italian collaboration and was launched in 1996. It was designed to study a wide range of X-ray energies from 0.1 to 300 keV and is used to monitor the X-ray afterglow of Gamma Ray Bursts. 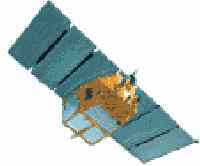 Chandra was launched in 1999 by NASA and contains four sets of nested mirrors. It will detect sources further away and in greater detail using highly polished mirrors. The mirrors are so smooth that if the surface of the Earth were as smooth as Chandra's mirrors, the largest mountain would only be 2 m tall!